The controversy surrounding the Missouri Department of Corrections was not shared with Governor Jay Nixon (D). He tells Missourinet that he was unaware of the issues, which include more than 60 lawsuits filed by employees alleging humiliation, groping, poisoning and physical assault by supervisors and co-workers to engage in sexual acts. Nixon referred Missourinet to the state Attorney General’s office. “When it doesn’t raise to my level during the conduct or during the challenges, I don’t feel that I’m the person. I mean I think that’s a better question to ask of the people who were involved in it,” says Nixon. A spokesperson for outgoing Missouri Attorney General Chris Koster (D) says the office cannot comment on communications with its clients. An investigation by the Pitch.com reveals that some of the claims have cost the state more than $7 million in settlements during a four year period. A review is underway by the office of Missouri State Auditor Nicole Galloway (D) of the state’s Legal Expense Fund, which is used to make payments stemming from lawsuits against the state. 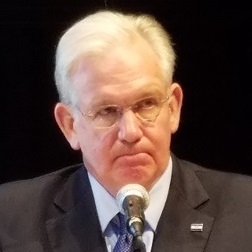 “I hope that people, as they move forward, start thinking about how we can make things better in the future instead of spending all of their time trying to pick out this lawsuit or that lawsuit and use that as an example of how the workplace is for workers across state government, which I think is a very good workplace,” says Nixon. State legislators also plan to address the allegations next session. House speaker Todd Richardson (R-Poplar Bluff) has called for the creation of a committee to investigate the allegations against the Department of Corrections. House Minority Leader Gail McCann Beatty has called for the resignation of the department’s director, George Lombardi. Governor-elect Eric Greitens (R) has announced his choice for Department of Corrections director. Anne Precythe, who leads North Carolina Public Safety’s Community Corrections program, will assume oversight of Missouri’s state prisons.